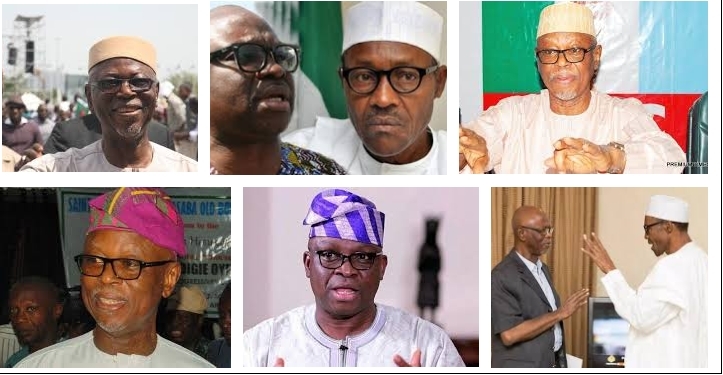 The chairman of the All progress Congress, Chief John Odigie-Oyegun has aired his thoughts about the governor of Ekiti State, Ayo Fayose and his recent utterances about the ailing health of President Muhammadu Buhari. Believe me, I hate to comment on anything the Governor of Ekiti State says because when people have taken leave of common decency, our basic cultural upbringing; when people cease to have respect for elders and cease to have respect for the fact that an elder statesman who is also President of this nation is going through a health challenge and seek to make fun of it, and seek to say things that are so totally unbecoming, it is really not worth commenting on. But I am glad that as at yesterday (Wednesday) even Peoples Democratic Party (PDP) governors went there and thank God nice sober people, they were very excited at the pace of recovery of Mr President. I hope that finally, even for the most hardened of political adversaries that common sense and common decency will finally prevail. I can confirm that Mr President is convalescing very strongly. Right now, all he is doing is having as much rest as he can to build up his energy, to build up his stamina. But the worst is certainly over. Mr President is going to come back and he is going to face the responsibilities for which the people of this country have elected him. I am glad to say he is recovering beautifully.